WorldAirport is an essential application for the frequent traveller and airport enthusiasts. Browse the airports of the world on a map. Easily find the airports close to your position. 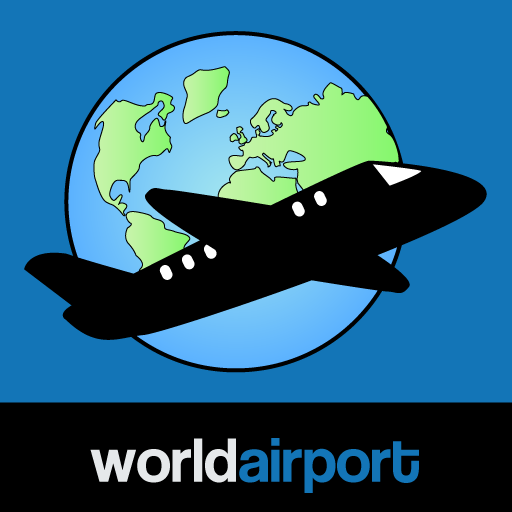 WorldAirport is a comprehensive and searchable list of the airports in the world, both large and small. Have you ever wondered about the strange codes on your baggage label when you fly? Ever needed to figure out how far the airport is from the city centre of your destination? Ever needed to find an airport close to your location? Or an airport close to where you want to go on vacation? Or do you just need a fast and easy way to browse through the airports of the world? Then “WorldAirport” is the app for you! For each airport a number of details is provided. This includes IATA and ICAO codes, full name, location and region served by the airport, links to Maps, Wikipedia and official airport home page. The airport information is offline, so you can use it when travelling.